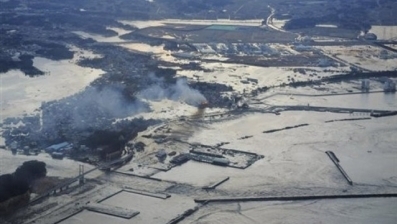 A tsunami rammed the coast of Japan following a powerful 8.9-magnitude earthquake that violently shook buildings in Tokyo and sent panicked residents into the streets. The extent of damage and injuries is not yet known from the quake and aftermath, but TV cameras showed a powerful Pacific wave ripping down buildings and tumbling cars down streets several miles inland in coastal towns. Fires triggered by the quake burned uncontrolled up and down the coast, reports AP. 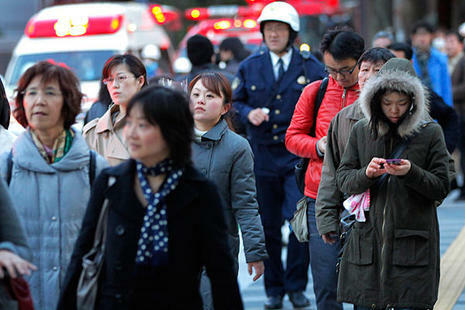 One death was reported in Tokyo, but many others are expected in the nation. 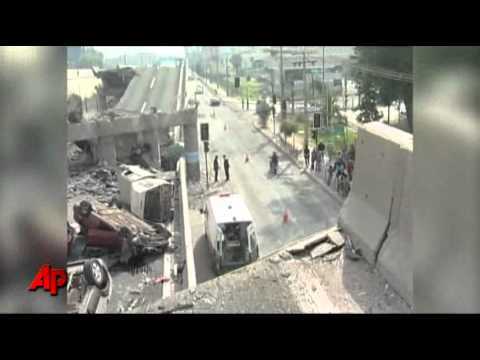 "This is a rare major quake, and damages could quickly rise by the minute," warned an official. 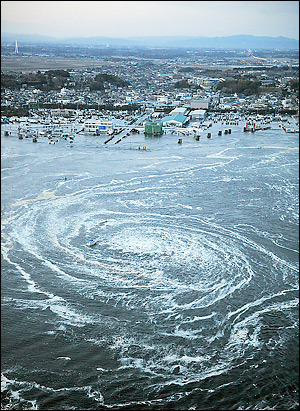 But as leaders across the globe reacted and the tsunami wave roared across the Pacific, damaged airports in Japan and uncertainty about the level of assistance required by a wealthy nation well used to earthquakes meant there was little immediate move to bring in resources from outside. Among instant, critical help was the delivery of coolant to a damaged nuclear plant. U.S. Secretary of State Hillary Clinton said the U.S. air force based in Japan had transported it. It was only about 3 p.m., but I asked my colleagues if they were leaving. They didn’t know. One asked me if I’d heard the warning on the loudspeaker two minutes before the quake. But as a foreigner who is struggling to learn Japanese, I hadn’t noticed it, or didn’t understand. I began to fear that I was missing the information I needed to make an educated decision on what to do. No one else had a clear plan either. Then the ground shook again.